CA-Legal Featureless Rifle. CA Featureless configuration. Click Here for more information. 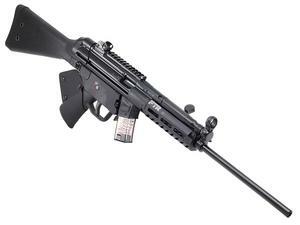 The PTR 9R model features an M-LOK compatible aluminum handguard and a 16.2" crowned barrel. Utilizes both a paddle and push button magazine release. The precision welded top rail enables the user to mount a variety of optics, traditional iron sights are also included.